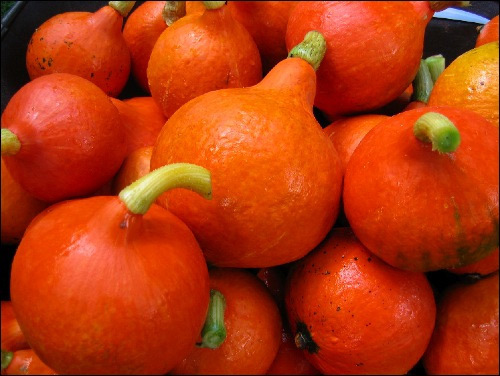 One of the most unusual winter squash varieties . This large semi trailing squash variety produces lots of elongated torpedo shaped fruit. 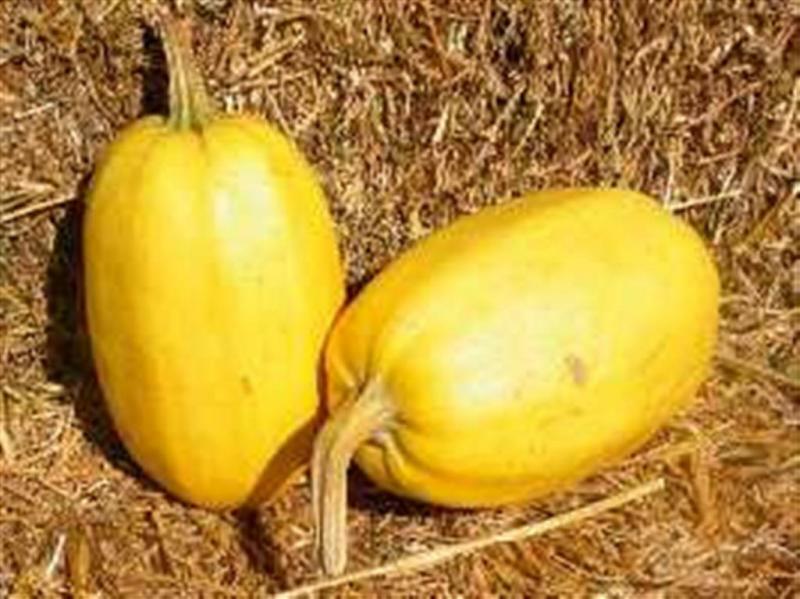 Creamy yellow color hard skin when ripe with creamy stringy flesh (vegetable spaghetti), average weight about 2 lb. Keeps very well , we are still selling last years crop on our market stall in February! Pierce skin and cook whole in boiling water or roasted in the oven. When cooked cut in half lengthways, take out the seeds and the scrape flesh with a fork to produce the most delicious strands of vegetable spaghetti. Serve with your favourite spaghetti sauce and et voila.... a meal with practically zero calories, Perfect.